Fortunately, Mead has sent me some great products from their Organizher line to help me combat newborn parent brain and turn my refrigerator and purse into organization central! 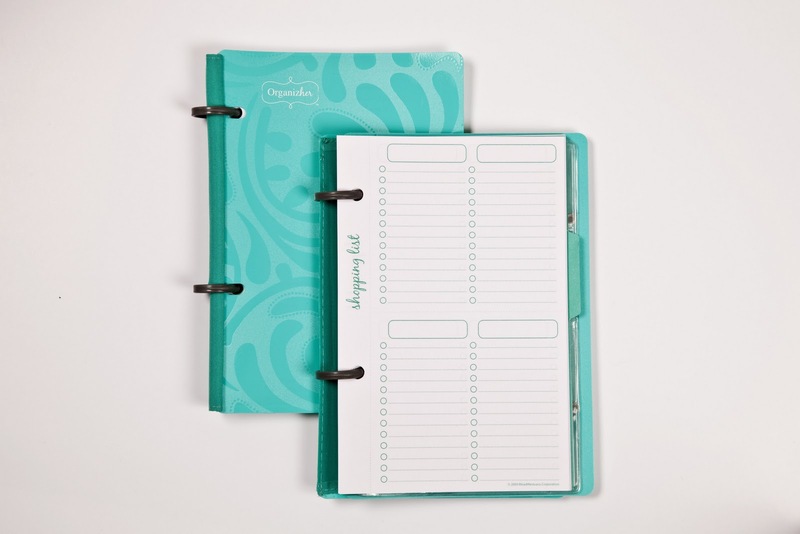 Organizher offers functional, flexible, fashionable products designed with the modern household in mind. Most women juggle multiple schedules, long to-do lists, budget tracking, and meal planning—not just for one person, but for many. That’s why we developed “all me” and “all them” sections, customizable formats, and fabulous designs. Used alone or in a system, Organizher products help you gain control and make it work! 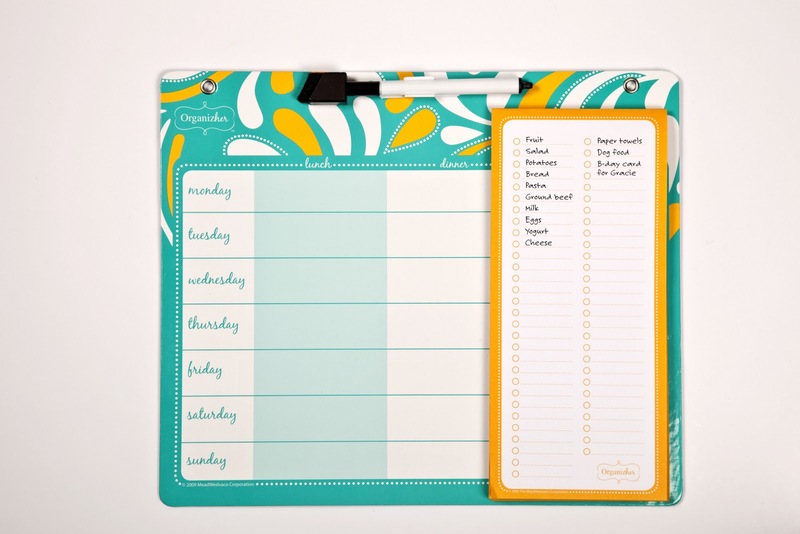 This organizer manages all of your “to buy” lists! Two tabbed sections keep track of shopping lists and online retailer information. Handy storage sheets hold traditional and keychain-sized loyalty cards, and a zipper pouch helps manage receipts and coupons. “shopping list” notepad makes this a complete meal center. OMG - did I ever need this right now... I actually made a trip to the grocery store and got what I actually needed - everything I needed - including the stuff I thought of in the car. 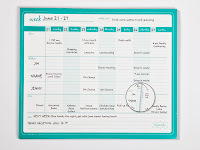 The Shopping Companion has actually become my go to To-do-list and I clipped the shopping list from the Wipe and Write meal center into it when I went shopping. I had also read a scary story in Dear Abby today about someone losing their keys with key tags attached and being robbed because of it, so I unclipped the cards from my keys and slid them into the convenient slots in the book... best part is that the store clerk scanned them right from my Shopping Companion. 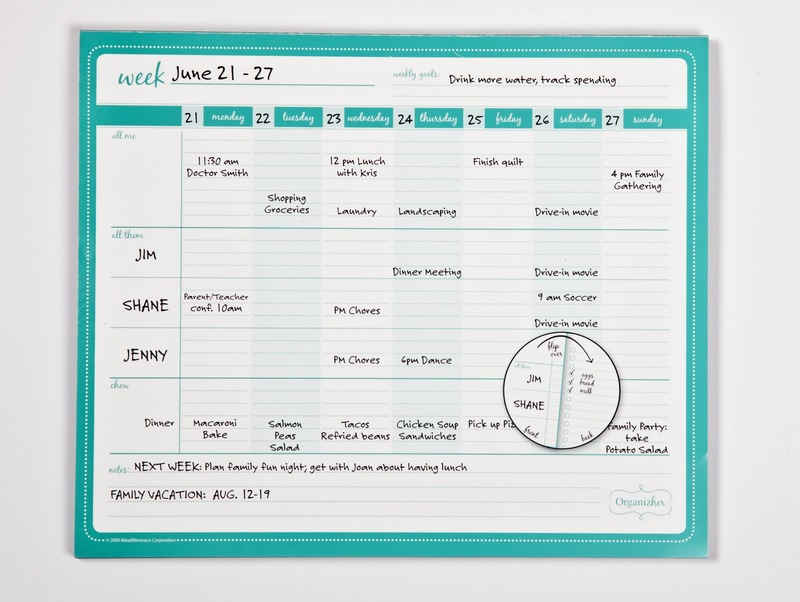 It's also helpful to have a week by week planner right on the fridge beside the meal planner - once I see that both Wayne and Robyn have activities on a given night, I know that I'm changing my meal plan to something in the crockpot that will keep warm ... so that I can feed the kids early and Wayne after his event! I've only been using these products for a few days, but already they're making a difference in my life and my organizational ablility! Can they make a difference in your life? All three of these products, as well as the rest of the Organizher line is available throughout the US at Target. Better yet, you can win all three of these products here on Acting Balanced! This contest is open to residents of the US Only. Mandatory entry MUST be completed before any other entries will be counted. Winner must not have won any Mead prize pack within the last 90 days.
" I'm following @OrganizHer thanks to Acting Balanced/ @chascouponmom and I want to #win the #giveaway on her blog http://bit.ly/gTDuA6 "
" I want to #WIN an #OrganizHer Prize pack from ActingBalanced/ @chascouponmom http://bit.ly/gTDuA6 #giveaway ends 12/20 "
Disclaimer: I received these products at no cost for the purpose of completing my review. All opinions are my own.